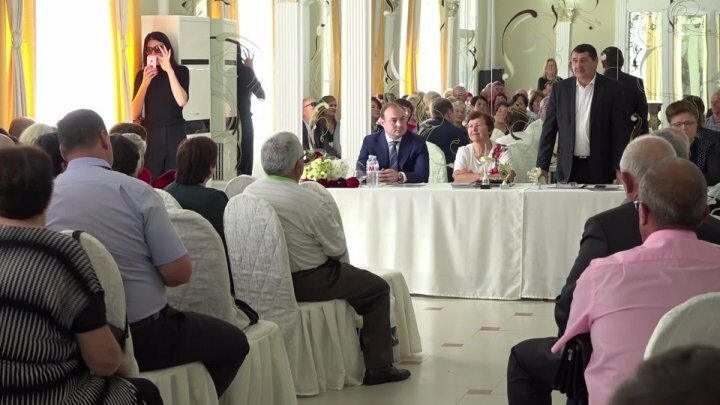 Over 150 retired, members of different organizations held a meeting in Floresti. Within the meeting, they discussed about the most important achievements of the Government. The session took place within "Closer to people" program, launched in February by "Tezaurul Natiunii" organization of PDM. At the discussions participated the local authorities who talked about the achievements they managed to do. "In 2017 and 2017, we made a lot of good things. Due to the Government, many schools from Floresti have been repaired, many kindergartens benefited of stadiums", said Stefan Panes, the President of Floresti district. The organizations of the retired help the old to get involved in the social and political life. "The retired want to get involved in the social life. It is important for them to be active", said Zinaida Mandalac, member of "Tezaurul Natiunii" organization. "It is very important, because we need to communicate and practice", said Vasile Carbune, the President of Varvareuca organization. Eugen Nichiforciuc PDM deputy also came at the meeting. He mentioned that the retired are our source of wisdom. "It is very important for us to have somebody who shares their life experience. Such meetings are very important for us. This is how we get inspired", said Eugen Nichiforciuc, PDM deputy. Floresti is the 35th locality from our country that hosted the retired reunion within "Closer to people" organization of PDM.